German opera composer of Jewish birth who has been described as perhaps the most successful stage composer of the nineteenth century. Meyerbeer's father was a very wealthy financier and his mother also had an elite background. Meyerbeer's siblings included the astronomer Wilhelm Beer and the poet Michael Beer. He adopted the surname Meyerbeer on the death of his grandfather Liebmann Meyer Wulff (1811) and the first name Giacomo during his period of study in Italy, around 1817. 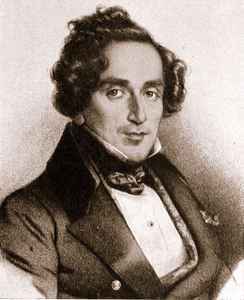 Meyerbeer won his first great success at the Paris Opéra in 1831 with Robert le diable (‘Robert the Devil’). This was followed by 'Les Huguenots,' 'Le Prophète' and finally by 'L’Africaine,' all three with texts by the famous librettist Eugène Scribe.